A superb plant for creating weed-suppressing groundcover which no garden should be without. 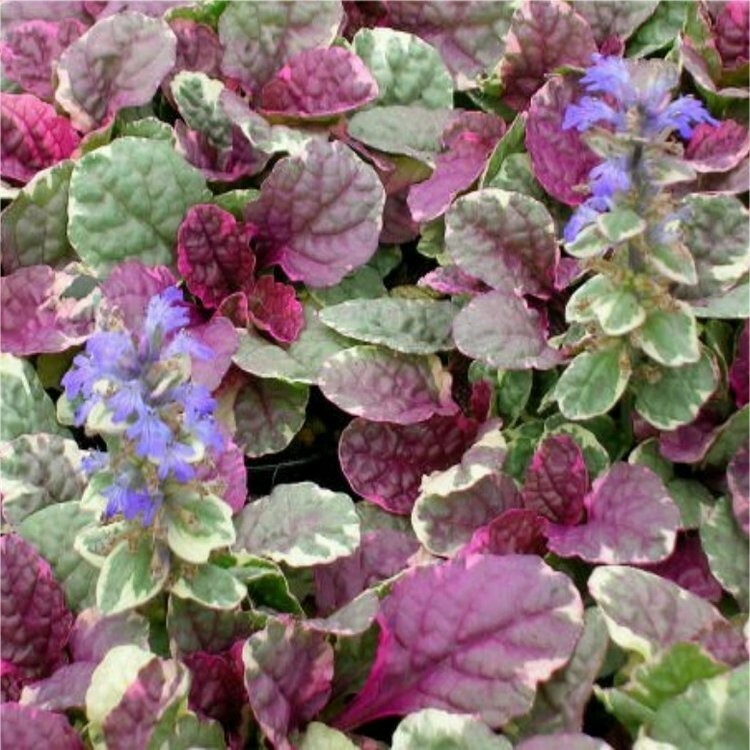 Widely used for under planting roses for its attractive tri-colour foliage and spikes of blue flowers in spring. Creates a mat of evergreen foliage attractive all year round. Supplied in 1 Litre containers.